Dakhla, October 14, 2016 (SPS) - the National Committee supervising the International Film Festival in Western Sahara in its 13th edition organized Thursday workshop under the theme "Western Sahara under occupation," with international and national media´s presence. The workshop was facilitated by Ambassador of independence uprising Mr. Sidi Mohamed Daddach, he went through the crucial stages of Saharwi people struggle since the Moroccan invasion in 1975, and the deprivation of the Saharawi people in the occupied territories of their rights to demonstrate and freedom of expression and demand self-determination and independence. 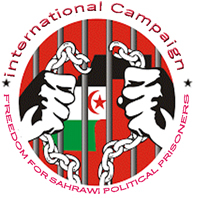 Dadach also said that the Moroccan prevention of foreign delegations (Journalists, MPs and supporter) from entering in occupied cities, aims to impede the reporting of the ongoing and systematic violations of human rights committed by the Moroccan repressive forces against Saharwi defenseless citizen.